Abalon can custom design a system that will meet all of you foundation requirements. Sump pump systems can be installed in unfinshed areas such as utility rooms. 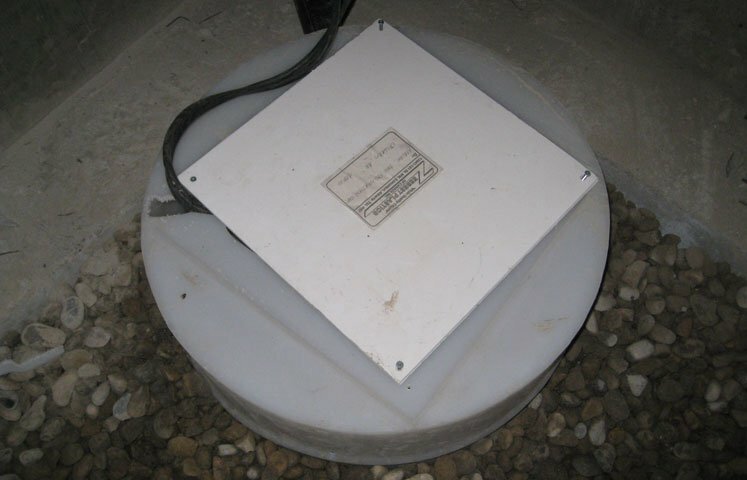 Sump pump systems can also be installed in finished areas. Abalon has designed a 3 foot sump pump pit that takes into account depth, collection volume, durability and functionality. Concrete is broken to allow for the sump pump pit installation and hauled away. Soil is dug out and hauled away. The sump pump pit is set flush with the ground. The sump pump pit is then backfilled with washed rock. The concrete is poured allowing for plumbing to run up and out to exit. Discharge line is sent to exterior and runs downhill.